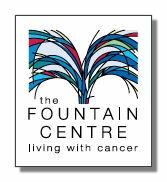 The Fountain Centre is a charity for cancer patients, their families and carers located in the St Luke's cancer unit at the Royal Surrey County Hospital, Guildford. They offer advice, counselling and a huge range of complementary therapies, in a calming and relaxed atmosphere. DIY Marquees have decided to support The Fountain Centre and urge anyone who can help or make a donation to do so to a very very worthy cause.